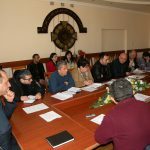 On January 31, 2019, Ijevan Branch of “Yerevan State University” Foundation hosted an extended Board meeting headed by YSUIB Acting Director A. V. Tsutsulyan. 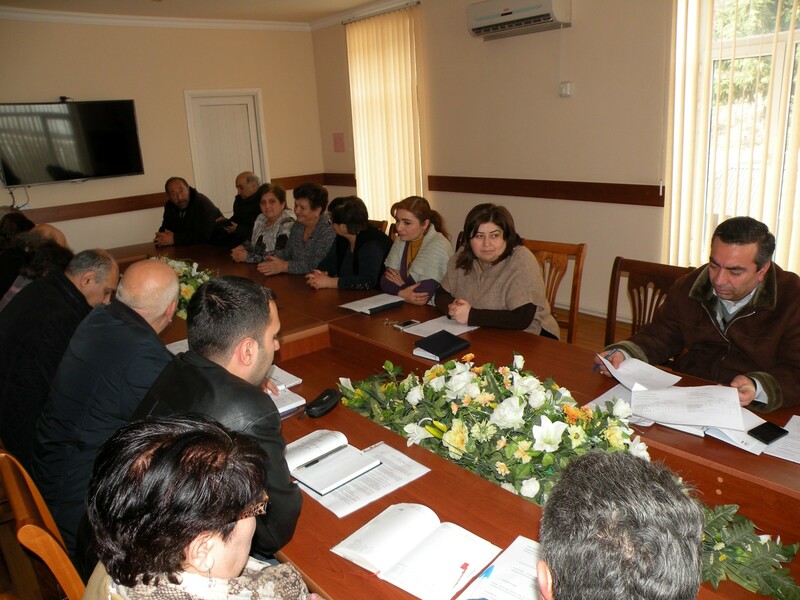 On the agenda were the summary of the results of Full-time training semester exam of 2018-2019 academic year and the preparations for the II semester of the same academic year and other current issues. Acting Deans of the Faculties reported on the results of the first semester of 2018-19 academic year. 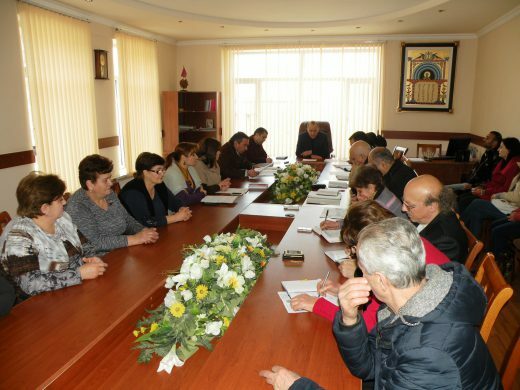 Acting Dean of the Faculty of Humanities K. Poghosyan particularly mentioned that the overall number of students in the faculty is 272, 76 students are enrolled in a free system of education, 196: paid system of education. During the exam period, the students of the following specialties made absolute progress; “Armenian Language and Literature” II and III, “Psychology” IV, “French language and literature” IV, “Foreign language and literature” I. The student of the following specialties made a poor academic performance, that is, failed the exam: one student of I and II courses of “History” and “English language and literature IV”, “Armenian Language and Literature IV”, 2 students of “Elementary pedagogy and methodology I”, “Foreign language and literature IV”specialties, 3 students of “Elementary pedagogy and methodology II” “ Foreign language and literature III”, 4 students of “History III”, 5 students of “History IV” and 11 students of “Elementary pedagogy and methodology III”. The students of “Armenian language and literature III, “History IV” and “English language and literature” IV made high academic performance (18-20). Acting Dean of the Faculty of Economics G. Avetisyan particularly mentioned that 101 students ( 70 students of “Finance”, “Economics” and “The Theory of Economics” specialties, 31 students of “Tourism” and “Service”) participated in the exams of the first semester of 2018-2019 academic year. 63 students managed to pass the exam, two students received excellent marks (“Economics” III, “Service” IV). The absolute progress made at the Faculty was 62.4%. There are 36 students enrolled in the free education system, with absolute progress of 94.4%. 2 students received excellent marks (“Economics” III, “Service” IV). Two students (“Finance” I, “Economics” III) failed to pass the exam. Insufficient marks of the third year student enrolled in a free system of education are conditioned by the fact that the student has not been in the country for the first half of the year with the permission of YSU and will pass the exams during the liquidation period of the first semester of 2018-19 academic year. 65 students enrolled in the paid education system, with absolute progress of 44.6%. 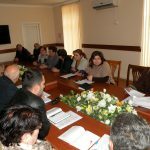 Acting Dean of the Faculty of Applied Arts A. Margaryan, presenting the results of the examinations for the first semester of the 2018-2019 academic year, mentioned that all the tests, mid-term and final exams of the 1st semester were held in accordance with the approved schedule, except for one student all the students of the faculty took part in the exams. It was noted that there were no students in the faculty with high academic performance. Six students had academic debt. The highest rate was at the Faculty of “Design” IV (100%), and the lowest is the “Design” II course (85.7%). The overall academic performance of the faculty was 90% (100% in free system, 65.96% in paid system). The spectrum of ratings is broad, as a rule, it is higher than those of the professional subjects, low from humanistic and non-professional subjects. While summarizing the results of YSUIB Full-time training first semester exam of the 2018-19 academic year, Head of the Educational-Methodological Department A. Davtyan added that the overall academic performance of the Branch students is 76%. 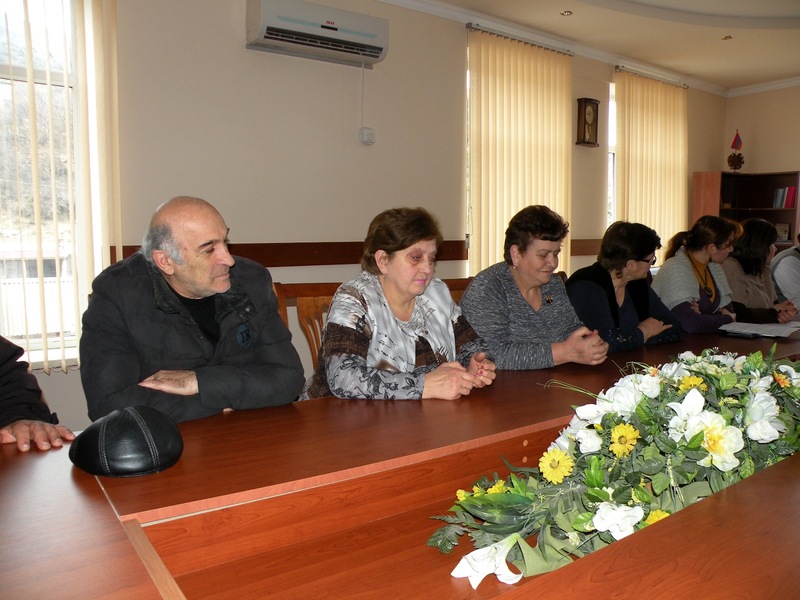 At the board meeting, the results of the examination were evaluated as satisfactory. 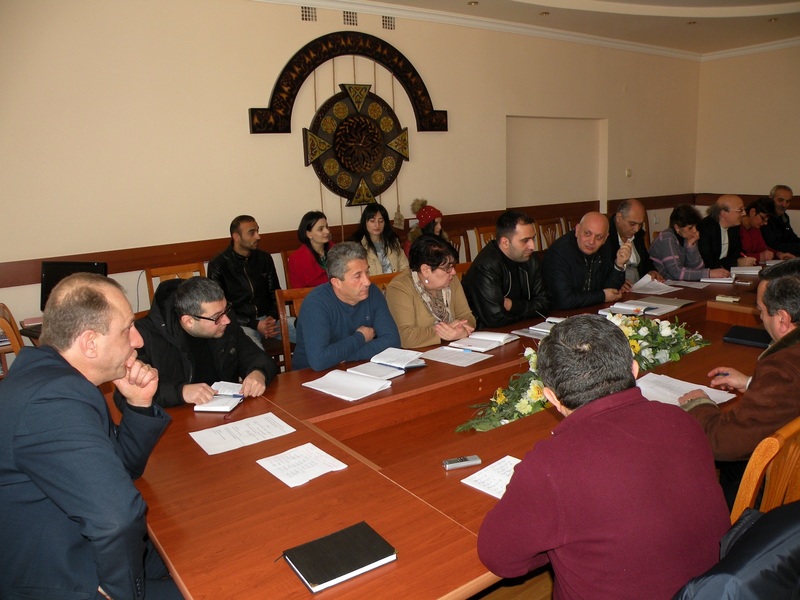 Davtyan, the Head of the Educational-Methodological Department and Deans of the Faculties, reported on the preparatory work for the second semester of 2018-19 academic year. Mr. Davtyan specifically noted that the curriculum for the organization of Full-time and Part-time training for the second semester of the 2018-2019 academic year by the Educational-Methodological Department was submitted to the director for approval. The reports of the professional staff working on hourly paid basis in the 2nd semester presented by the deans of the faculties were checked. The students’ applications for passing the academic debts in the approved schedule has been implemented. A number of issues related to the material and technical resources of the university, sanitary and hygienic conditions, furnishing of library, classrooms, computer rooms and technical equipment were highlighted in connection with the preparations for the II semester of 2018-19 academic year.